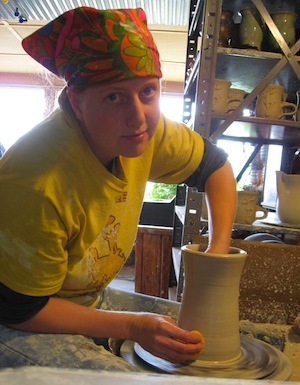 Muddy Mountain Pottery is now run by one of Ron's daughters, Tana Libolt and her partner, West Magoon. They live and work in Centennial, Wyoming, pop. 100, where they are building a home and studio out of tires, a building design known as an Earthship. West Magoon studied art at Northwest Community College and the University of Wyoming. He has worked as a graphic artist and photographer for more than 30 years, specializing in several antique photographic methods, including gum dichromate. His photographs have appeared in many regional shows and are in the permanent collections of several art museums. 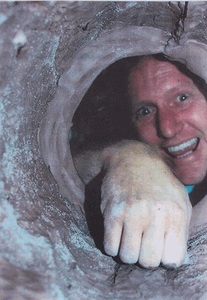 West has been a potter and sculptor since 1998. He's been intrigued by looking at ancient pottery and finally understanding how connected the forms are to each pot's special function. These include pots that resist sloshing and balance in the hand and wine bowls and mugs that are specially shaped to contain the dregs. 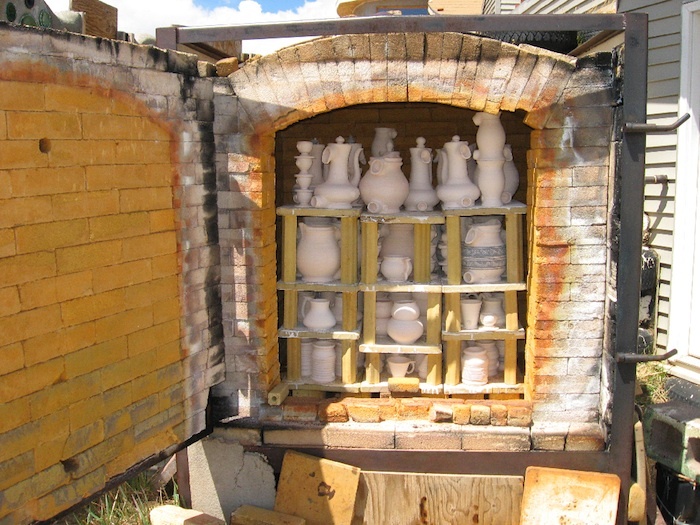 He applies these and other principles to all of his own pots. 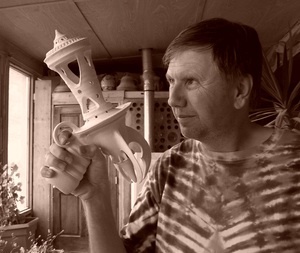 West's Raku Ray Guns come out of a life-long love of science fiction and are informed by intricate model making and ships in bottles he created as a child. The visual roots he draws on include sci-fi magazine covers from the 50's and the styling cues from 50's automobiles. Tana Libolt, after an apprenticeship to a glass-blower in New York and a brief fling with a career as a street musician in Dublin, Ireland, returned to Laramie and the University of Wyoming to study art. She is interested in the idea of a pot as an object of art that gives a feeling of delight to an every-day activity. Her ideal as a potter is to create objects that express more than the sum of their materials and take on a magical life of their own.